Reward Cards App - A smart way to carry loyalty cards. All your Reward Cards, Loyalty Cards and Clubcards on your smart phone. Scan your card once and use it from Reward Cards App. Reward Cards App is free to use! Scan all your loyalty cards into your phone using free Rewards Card App and give your wallet some breathing space! No more fumbling at the checkout counter looking for the right loyalty reward card. Your phone is all you need to redeem your points instantly. Get alerts for the best offers and coupons from your favorite stores on your phone when you use Reward Cards App. See the points you have for each supermarket and take right shopping decisions. Now tell me, will your plastic card do this for your? 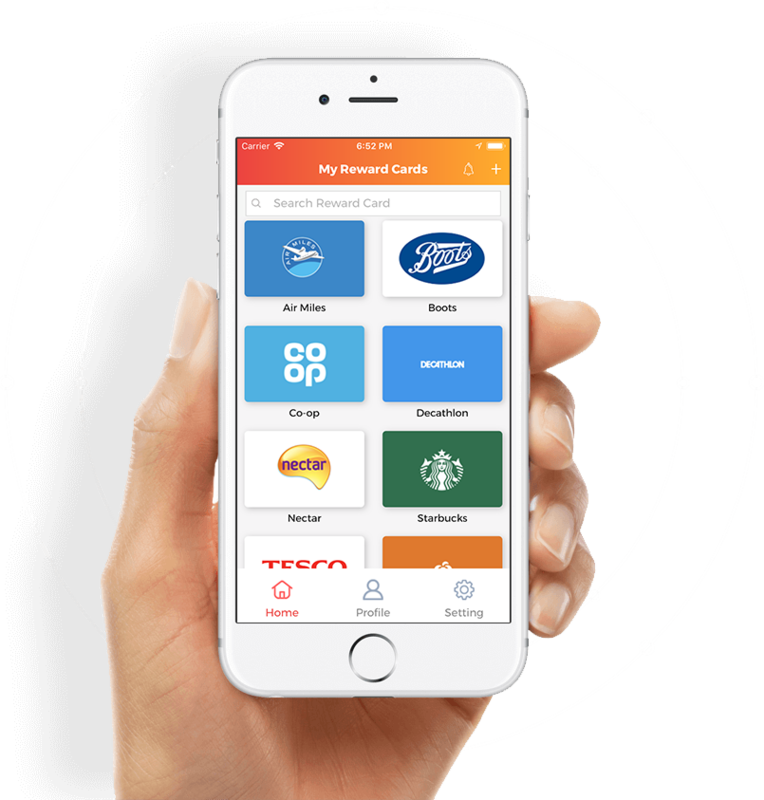 Reward Cards app lets you backup all your loyalty cards into your phone easily. Don’t let a lost or damaged loyalty card keep you from redeeming your reward points from your favorite stores. Download the Reward Cards App for free.You can get it on Play store and iTunes. Start scanning your loyalty card instantly, even without registration! Show your phone at checkout to collect points and avail discounts instantly. Reward Cards app is free smart phone wallet to store all your cards with Barcode, QR code or just the card number. It support all Reward Cards, Loyalty Cards, Membership Card, Store Card, Library Cards and Club Cards. Know more about us. Here are some FAQs.